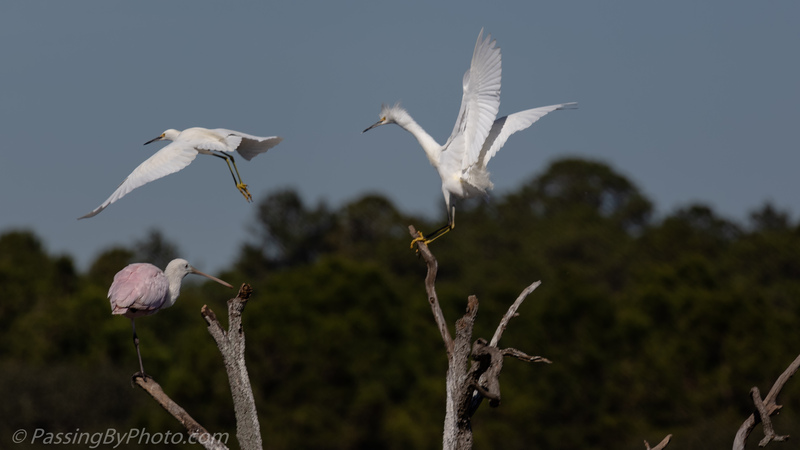 In my last post, Snowy Egret, Blue Water, I mentioned that the Snowy Egrets can be feisty. 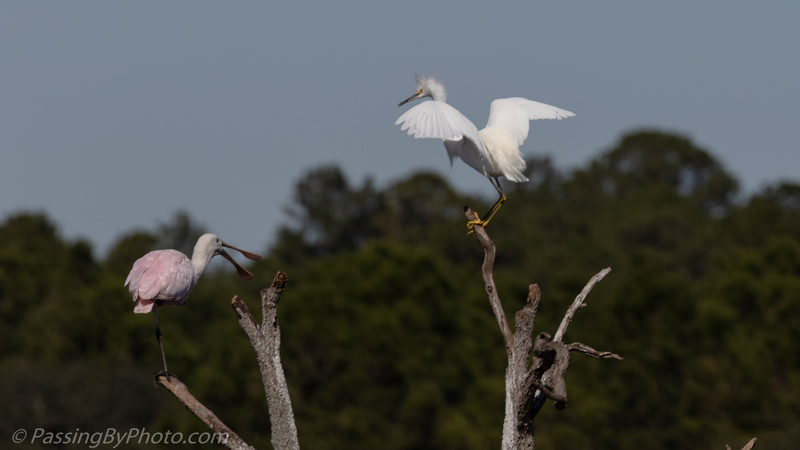 This action took place in the “Spoonie Tree,” so named because the Roseate Spoonbills tend to gather there as a second Snowy Egret came in for a landing. 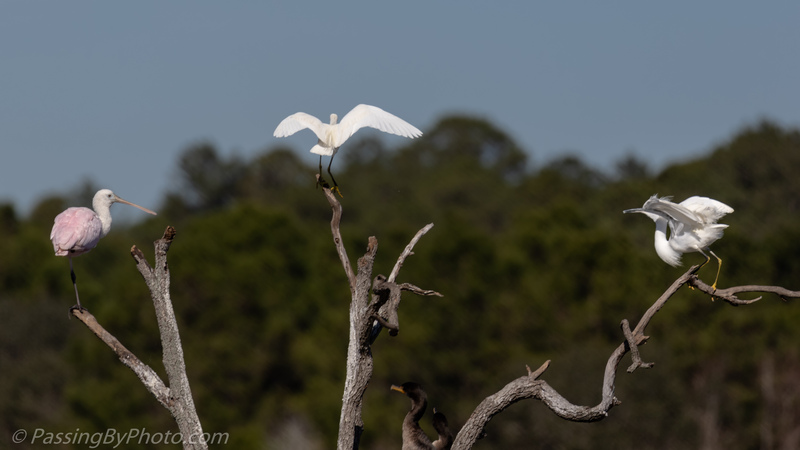 Even though their perches were several feet apart, the incoming Snowy Egret was considered an interloper. He who was there first drove the second egret off. After the action was over the Roseate Spoonbill had a quick squawk, but otherwise didn’t move. Do you suppose the spoonbill was not challenged as it was there first? Nice series Ellen! 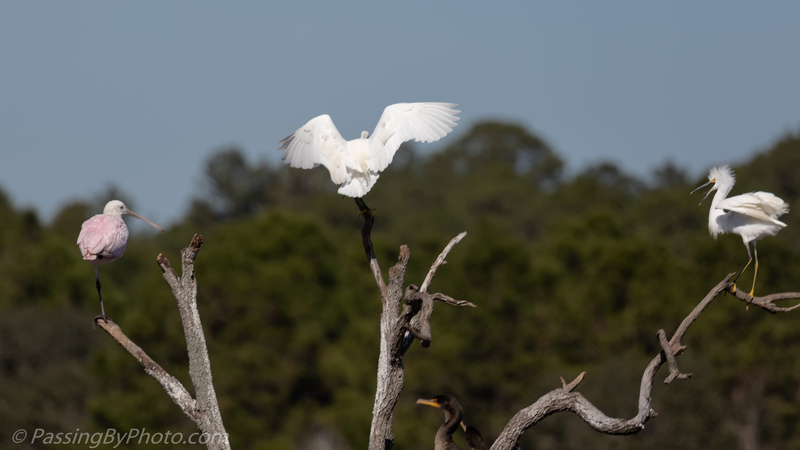 I’m not sure, Belinda…this group of spoonbills we have been watching are all young, maybe they do feel that way!